Welcome to Binns & Stevens Inc. CALL US FOR YOUR DUST CONTROL NEEDS. WE PRIDE OURSELVES ON NOT LEAVING YOU IN THE DUST! How many of us who live on a gravel road wish that we could be outside without getting bathed in a sea of dust every time someone drives by? At Binns and Stevens we want you to be able to enjoy the great outdoors with as little dust as possible. Our dust control specialists want to help you control your dust issues. Our dust alleviation begins after the roads have had their annual post winter maintenance. 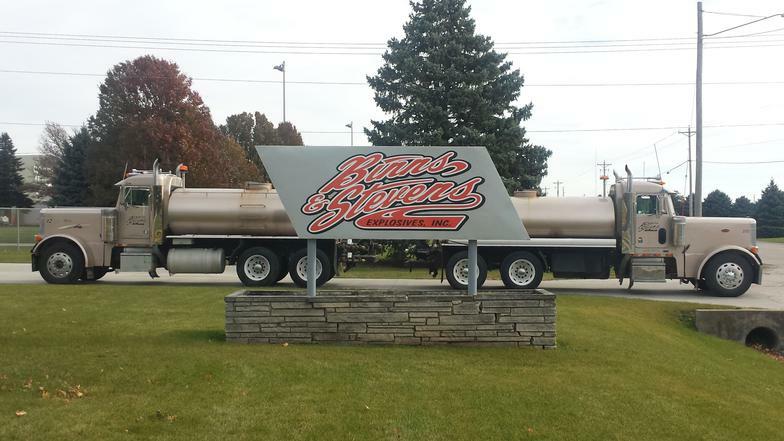 Binns & Stevens Explosives Inc is a family owned business that has been in operation since 1956. Raymond Binns & Roy Stevens were the original owners. In 1989 Richard Stevens, Roy's son, took over the business and runs it to this day with his daughter, Heather Stevens-VanDenBerg. Heather has been involved with this company since 1995.